When Briony Tallis, 13 years old and an aspiring writer, sees her older sister Cecilia and Robbie Turner at the fountain in front of the family estate she misinterprets what is happening thus setting into motion a series of misunderstandings and a childish pique that will have lasting repercussions for all of them. Robbie is the son of a family servant toward whom the family has always been kind. They paid for his time at Cambridge and now he plans on going to medical school. After the fountain incident, Briony reads a letter intended for Cecilia and concludes that Robbie is a deviant. When her cousin Lola is raped, she tells the police that it was Robbie she saw committing the deed. Taglines: Joined by love. Separated by fear. Redeemed by hope. Only eight U.K. military ambulances from WWII remain, and Atonement made use of them all. Revealing mistakes: As the three soldiers are walking back to the coast, three war planes are reflected in the stream next to them ("Some poor blighter's going to catch a packet!") From that camera angle, the originals should be visible in the sky. Briony Tallis, aged 13: I finished my play. If this doesn't win Best Picture next year it will have been robbed! Its very rare that a movie like Atonement comes along and leaves me completely speechless and in complete and utter awe for hours after I have seen it. You see Atonement isn't just the best movie I have seen all year, its one of the best movies I have seen in a very, very long time. And by that I include Pan's Labyrinth, yes this movie is better than my favourite movie of 2006, and I never imagined Atonement would ever come close to that level of greatness until fifteen minutes into the movie last night. Atonement is an unusual movie, in fact its fair to say that I have never seen anything quite like it. Its a rare movie that actually I adored so much that I am going to hunt down a copy of the book tomorrow just to see the comparisons. Its not an easy movie I'll be honest, if you go in expecting something light hearted and easy to digest then you will leave the cinema feeling very cheated. This is a movie that deals with very dark things at times. No matter how much I desire to write in depth about every aspect of the movie I just can't, the movies greatest triumph is the fact that its plot is so intricately woven that if you ruin one part of the storyline to anyone then the movies impact is slightly lessened. The storyline is just brilliant, but its the climax that leaves you in store for the biggest shocker, and its this shocker that leaves you reeling long after you have left the cinema. The performances here are all spectacular, I think its fair to say that the two leads, James McAvoy and Keira Knightly shall be receiving at the very least nominations for Best Actor/Best Actress. The score is beautiful, whoever came up with the idea of using a typewriter as a musical instrument deserves to be praised heavily. Its rare a score leaves me feeling moved, the score in this movie did that for me. That's yet another Oscar that this movie deserves to win. All in all Atonement is just perfection, I doubt you'll find a better movie this year or even for the next three years. In a time when Blockbusters get all the attention it is nice to see a small, but intelligent movie leave me in awe. As I previously mentioned the performances in this movie is simply amazing. Keira Knightly is an odd actress, while she proved herself in Pride and Prejudice, yes I have unfortunately seen that movie, she comes across as a wooden actress in films like Pirates of the Caribbean. Atonement really sees her at her best yet. Her character is different from what we've seen Knightly play before. Usually she goes for the spunky females, this time she seems more like a proper lady, albeit one that smokes constantly and is a bit stuck up for her own good. Keira Knightly excels in the earlier, more laid back sequences, but its in the later stuff, the more powerful stuff that we see just how talented an actress she truly is. Despite all my praise for Knightly she still plays second fiddle to James McAvoy. The former actor of Shameless and Narnia is on a roll lately. His excellent, although sadly overlooked performance in The Last King of Scotland still sticks firmly in memory. But his performance here is simple breathtaking. One sequence in particular where we see his acting talent come to light has to be the sequence in Dunkirk (more on that later), no words but the performance says everything. Knightly might not be certain to win an Oscar, but McAvoy surely is! Its also refreshing to see a young actress, Saoirse Ronan, not be eye gougingly irritating, but rather a superb actress. Her character, Briony, is a vital character in the movie, and for such a young actress she delivers her performance so chillingly brilliant. 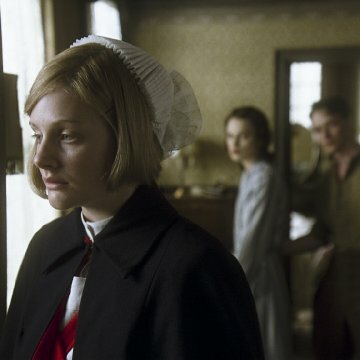 Unfortunately next to this brilliant performance, Romola Garai who plays an older Briony pales in comparison. Her performance is still brilliant, but not as effective nor as memorable as the younger actress. 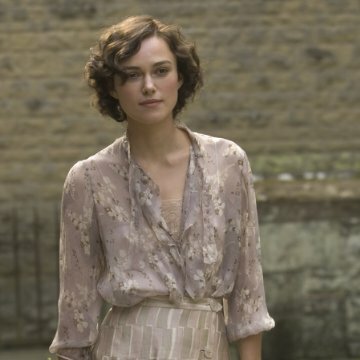 The storyline of Atonement is where the film holds most of its impact. Essentialy the film is about a lie that Briony tells, and how it affects the lives of her, Cecilia, and most importantly of all, Robbie. That's pretty much all I can and will say of the storyline. A lot more happens over the course of the movie, and a lot of stuff that you think will happen doesn't, and things you think won't happen will. The ending is a prime example of this and to be honest I didn't see it coming. 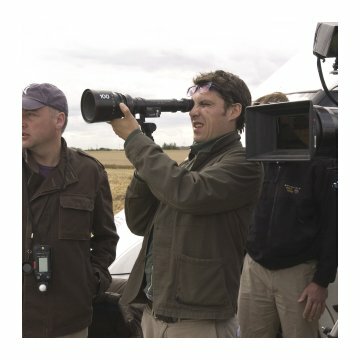 The way the movie is directed is also something note. The beautiful colours of the summer house are amazing, but the way the camera moves around the house makes it even better. But the direction will be remembered for one scene in this movie, and its in Dunkirk. I mentioned this previously for the performance in that scene, what I failed to mention is that the shot is a continuous shot that lasts five minutes as we see the chaos of Dunkirk. From horses being shot to a man hanging from a ferris wheel, the sequence is shown in all its glory. It really is a powerful moment, and probably the one scene that got me closest to tears, purely because of the singing in the background, it is shocking just how amazing this sequence truly is. Overall Atonement is a perfect movie, in actual fact its a movie with pretty much no flaws whatsoever. Superb performances, beautiful direction, a script and storyline to die for. It is unlikely any film will top this for a very long time, this is something that will go down in cinema history as being a classic, and it highly deserves it inevitable status.